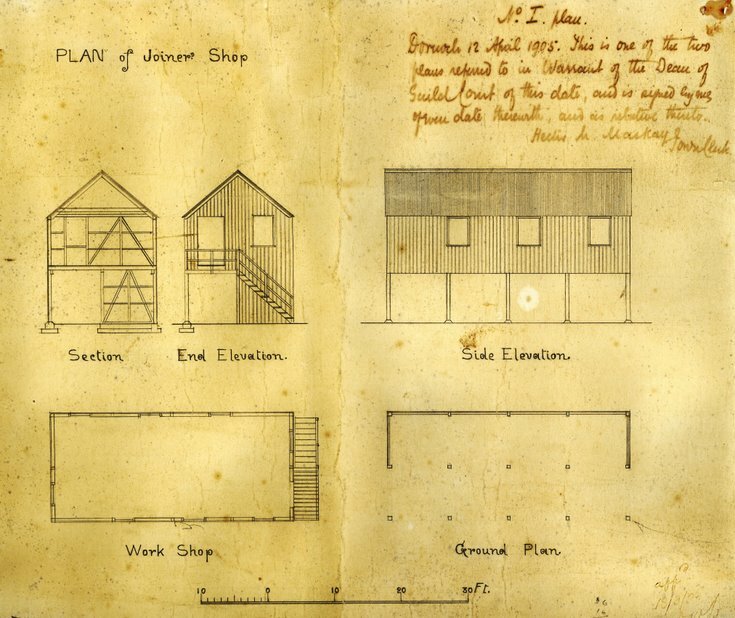 Architect's plans for Grants Joiner's Yard workshop 1905. Two plans showing a ground plan and two elevations. There is a handwritten annotation referring to the warrant to build, signed Hector Mackay Town Clerk. The plans are mildew stained. The two plans were stapled to the back wall at the top of the stairs of the workshop for over one hundred years, and were removed by Andrew MacKay on the 9th October 2006 at the time of the demolition.